Not until after the war were some of the perpetrators of the Novemberpogrom 1938 in Innsbruck arrested and sentenced by the people´s court at the national court of Innsbruck. In August 1946 Anton Haupt was sentenced to 6 years, Richard Dietrich and Alfred Gnesetti to 3 years in consequence of the excesses against the families Brüll und Diamand. In October 1946 Hans Aichinger was sentenced to 13 years and Gottfried Andreaus to 12 years in prison, both had been engaged in the assassinations of Richard Graubart and Wilhelm Bauer. 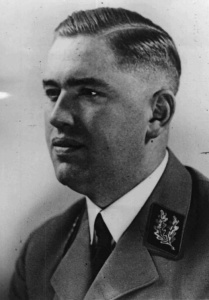 Gottfried Andreaus was paroled in 1951, because after his membership of the NSDAP he became an active resistance fighter and after the war he helped to trace the perpetrators of the Novemberpogrom 1938. Hans Aichinger was born in 1913 as son of an innkeeper family in Innsbruck. He attended the international college of hotel management in Vienna. He was a skiing instructor and together with his brother-in-law he managed the ski schools in St. Anton and St. Christoph/ Arlberg. 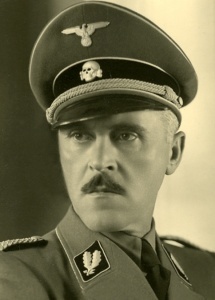 On August 5th, 1932 he joined the NSDAP and the SS, where he was promoted to the rank of an SS-Hauptsturmführer and bearer of the ring of skull and crossbones. There were many convinced National Socialists in his family like his father, his brother, his cousin and his brother–in-law. In April 1940 he married Herta Nissl, daughter of Richard Nissl, an owner of a brewery and a castle in Innsbruck. A few weeks after the sentence regarding his accompliceship in the pogrom night he fled to Argentina via Bozen, where he worked as a skiing instructor in San Carlos de Bariloche. In 1957 his prison sentence was reduced to three years. In 1959 he returned to Austria, where he gave himself up to the police and in 1961, after an amnesty, he was released from prison. He died in 1972 at the age of 59. In November 1946 engineer Heinrich Huber was sentenced to 5 years, Otto Mohr to 3 years, Alfons Ullmann and Johann Schöpf to 2,5 years, Georg Weintraut to 15 months and Josef Girardi to 18 months. This perpetrator group assaulted and badly hurt members of the families Josef Adler and Flora Bauer . Further, they demolished the domiciles of the families Adler, Schwarz, Spindel and Bauer. 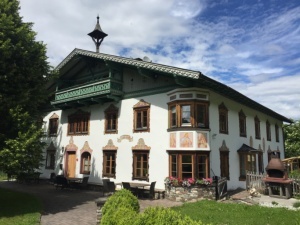 In 1947 Josef Ebner was sentenced to 1,5 years, August Hörhager and Alois Hochrainer to 2 years, Hans Riedl to 14 months, Karl Handl to 20 months, Hans Bayer to 14 months and Hermann Moser to 6 months. They deployed the gang against the families Schindler, Löwensohn, Schwarz, Schenkel, Meisel and Diamand. In October 1947 Theodor Haller was sentenced to 6 years for throwing the married couple Popper into the river Sill. Rudolf Schwarz (SS) and Robert Huttigranked among the group of perpetrators against the families of Richard Graubart and Wilhelm Bauer. In December 1947 they were sentenced to 11 and 10 years. Both were paroled and were released from custody in November 1951. In August 1948 Johann Mathoi (SA) was sentenced to 3,5 years in prison and Rudolf Mayerbrucker (NSKK) to 2,5 years. 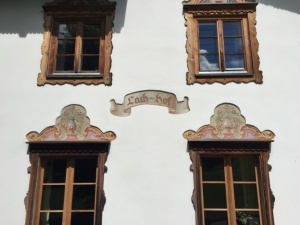 Both were proved guilty of passing on of the instructions for the pogrom during the roll call of the members of the SA- and NSKK at Bürgerstrasse 10. Besides, Mathoi was brought to account for the destruction of dwellings of the families Dubksy and Fuchs. In December 1948 the chief of the Gestapo Werner Hilliges, a native of Berlin, was sentenced to life imprisonment with hard labour during the “Innsbrucker Reichenau trial ” because of crimes against the humanity and the assassination of Egon Dubsky in the labour camp Reichenau on June 2nd, 1943 . On December 3rd, 1955, he was paroled and released from custody. Together with his wife he committed suicide in 1956. In September 1950 Gauhauptstellenleiter Walter Hopfgartner was condemned to 3 years, afterwards to 10 years because of maltreatment and high treason. 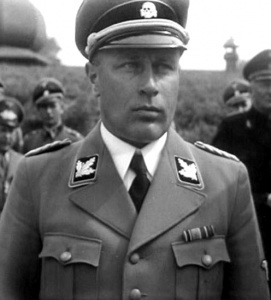 He had been son of a master butcher and member of the NSDAP since his eighteenth year. Under the Christmas amnesty he was put on parole in December 1954. 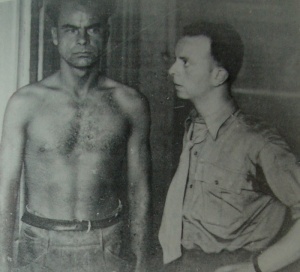 Dr. Robert Duy was arrested in in Amsterdam in November 1945 but had to serve no detentions and later on lived as a German citizen in the Federal Republic of Germany. Bishop Alois Hudal had been principal of the Collegio Teutonico di Santa Maria dell´Anima (German National Church) in Rome since 1923 and thus the supreme priest for the German expatriates. The college of priests and the Papal Ancillary Commission for Refugees (Assistenza Austriaca), which was founded by Hudal, were situated in Via della Pace 20 and this is where many National Socialist refugees found shelter. Hudal helped them to get valid passports and thus enabled their escape to South America. Erwin Fleiss, an office clerk of Innsbruck, member of the NSDAP and SS since 1931, joined the services in January 1942 and untill the end of war he was a high-ranking second lieutenant. He died in Argentina in October 1964. SA Standartenführer Vinzenz Waidacher fell in battle in October 1941. After the repeal of war criminal law Walter Sauerwein reported to the public prosecution in February 1958. His proceedings were stopped in December 1958. Before that he worked as an architect in Köln-Braunfeld. 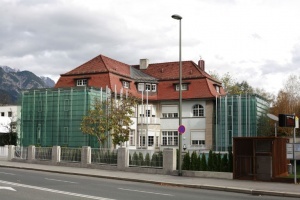 Dr. Gerhard Lausegger, a native citizen of Klagenfurt and member of Innsbruck frat Suevia, was arrested by Frederik R. Benson – son of murdered Richard Berger – and the British military in Carinthia 1945. In March 1947 he could flee to Argentina, where he died in an accident in 1966.